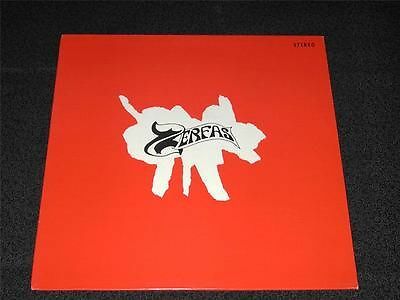 Only a few hunded copys of this "genius" masterwork were pressed and sold locally in Indianapolis Indiana on the highly respected 700 West lable back in 1973. For some reason these are very susceptible to ring-wear ...most notable on the front of the jacket. It's not the case with this one. While not perfect.. this one is very very nice, and in fact is just short of a NM grade. Please see the large close-up photos to scrutinize for yourself. They are to be considered as part of the description. The record itself looks unplayed. Under bright light I see only a couple of the faintest angel-hairs. This record is very close to a NM grade. Just beautiful. Shipping in the USA (media mail) w/delivery confirmation ...$4. *** I ship directly to you, and don't use eBays shipping service. If you have special shipping requests, just let me know. I pack everthing with great care to insure a trouble free delivery.